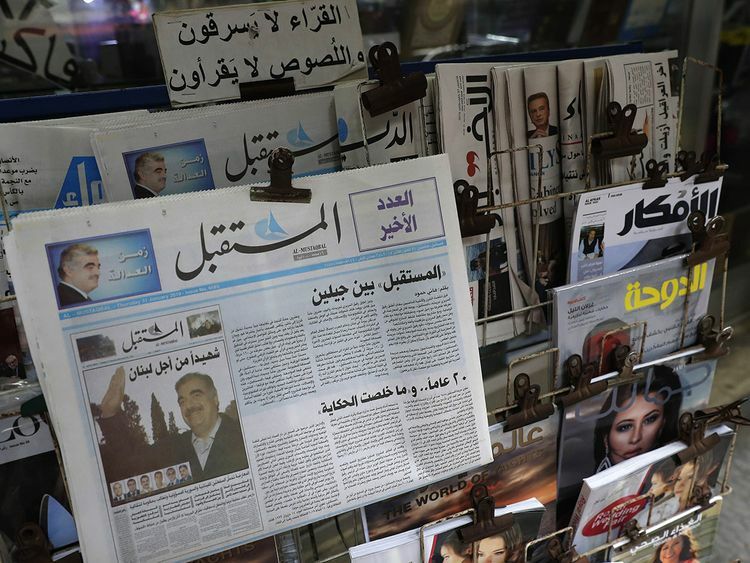 Beirut: Lebanese newspaper Al Mustaqbal issued its last print version after 20 years on Thursday, it said, the latest victim of the country’s media crisis. Established by late billionaire premier Rafik Hariri, Al Mustaqbal is affiliated to his son Prime Minister Sa’ad Hariri’s Future Current party. “Al Mustaqbal folds up its last pages today,” said an editorial on the front page of the newspaper, whose name means “Future” in Arabic. For two decades, Al Mustaqbal recorded key events of the multi-confessional country’s history, including the 2005 assassination of its founder in a bombing. On Thursday, Al Mustaqbal editor-in-chief Hani Hammoud wrote that his newspaper was struggling to adapt to the digital era. Al Mustaqbal is only the latest in a string of Lebanese newspapers to call it quits. In September, political daily Al Anwar disappeared from print after nearly 60 years due to “financial losses”. In late 2016, Lebanese newspaper Al Safir closed 42 years after publishing its first edition, with the founder saying it had run out of funds. Lebanon has weathered a series of political crises since civil war broke out in neighbouring Syria in 2011, and the prime minister has for eight months failed to get all political parties to agree on a new cabinet.